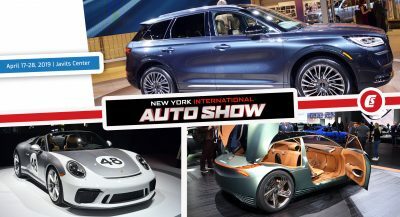 The SEMA Show kicks off later this month and Ford will have the “largest original equipment manufacturer display” this year as the company is planning to bring more than 50 vehicles to Las Vegas. 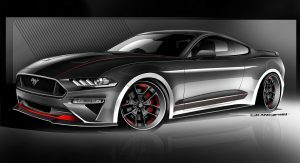 Among them will be five customized Mustangs including one made by Galpin Auto Sports. 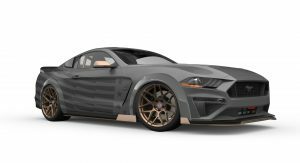 Based on the 2018 Mustang GT, the modified model has a widebody kit and a ground effects package that includes a new front splitter, revised side skirts and a sporty rear diffuser. The car also has aftermarket wheels and a retuned suspension that features new springs, shocks and sway bars sourced from Ford Performance. 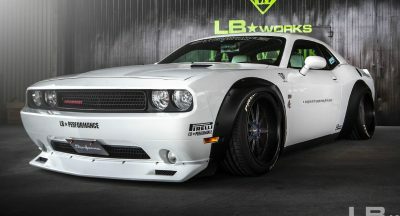 Power is provided by a 5.0-liter V8 engine which has been equipped with a Ford Performance/Roush supercharger and a cat-back exhaust system. It is connected to a six-speed manual transmission with a short-throw shifter. 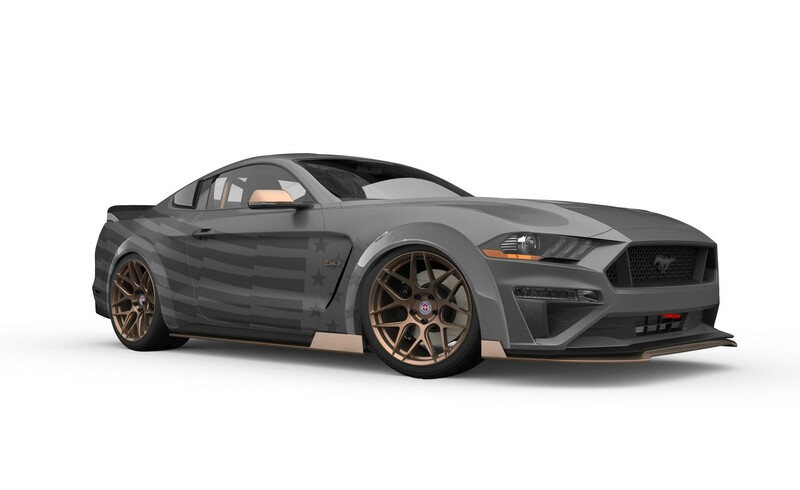 The CJ Pony Parts “Smoke Show” was designed for drifting and it features a dark shadow gray exterior with copper accents and a stars and stripes livery. The car has also been equipped with an Anderson Composites wide-body kit, a Roush Performance front splitter and HRE FF04 satin gold wheels which are wrapped in Michelin Pilot Sport 4 S tires. 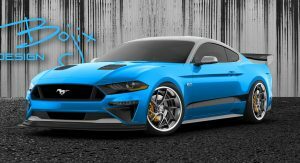 On the performance front, the coupe has Ford Performance lowering springs, UPR independent rear suspension upgrades and a supercharged 5.0-liter V8 engine. 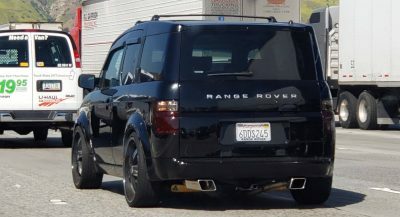 Other highlights include a short-throw shifter, a Watson Racing roll cage and a cat-back exhaust with carbon fiber tips. 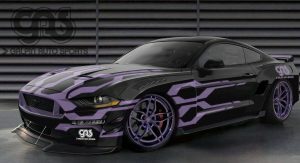 The CGS Motorsports Mustang GT has a “sinister” appearance thanks to a custom widebody kit by TS Designs. 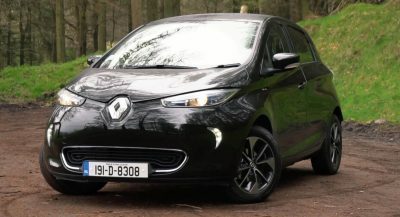 The model also has Diode Dynamics LED lighting units and 22-inch wheels that backed up by a six-piston Brembo braking system with 16.1-inch (410 mm) rotors. Speaking of performance upgrades, the car has Ford Performance springs and a sway bar. 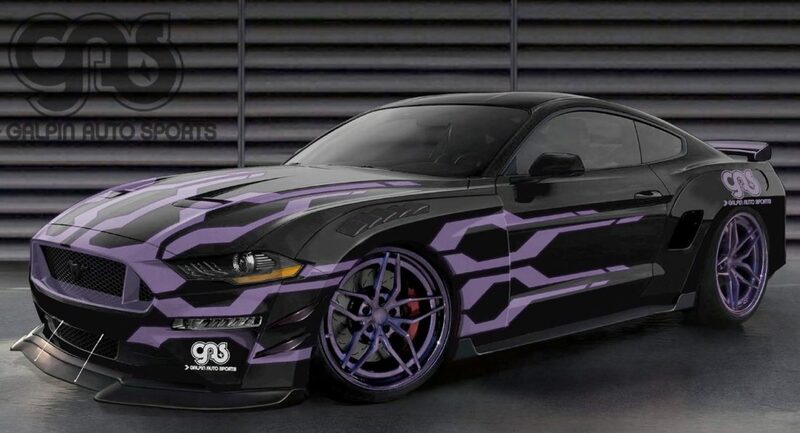 Other updates include a Ford Performance/Roush supercharger and a cat-back exhaust system with carbon fiber tips. 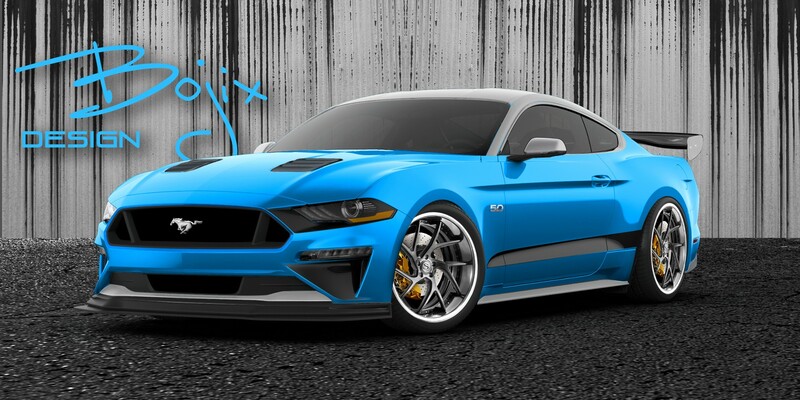 The Bojix Design Mustang GT mixes up the formula by featuring an eye-catching blue exterior with an APR carbon fiber front splitter. The car also has a rear wing and 20-inch Savini SV67 wheels with Nitto NT05 tires. Under the hood, the 5.0-liter V8 engine has been outfitted with a Procharger supercharger and a Bojix Design supercar exhaust with Borla mufflers. Other performance upgrades include a Brembo braking system and a retuned suspension with springs, shocks and sway bars sourced from Ford Performance. 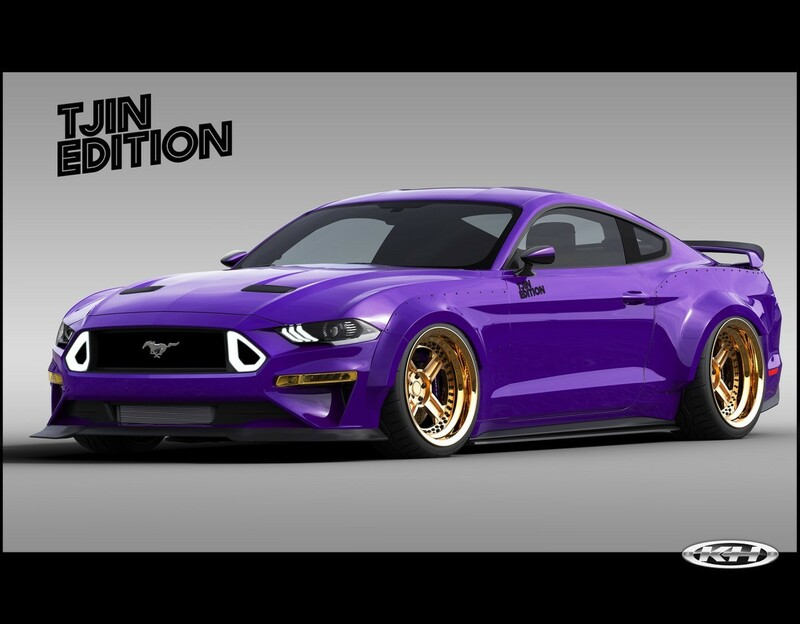 Last but not least, the TJIN Edition EcoBoost Mustang has an RTR body kit and an Electric Purple paint job. The model also has 20-inch wheels and a custom interior with Recaro seats. The 2.3-liter EcoBoost four-cylinder engine has been upgraded with a BorgWarner turbocharger, a cat-back exhaust system and an assortment of components – an intercooler, manifold, downpipe and charge pipes – from Full-Race. Other upgrades include a Ford Performance strut brace, an Air Lift suspension and Baer Grizzlie big front brakes. The Coyote is a terrific power plant. 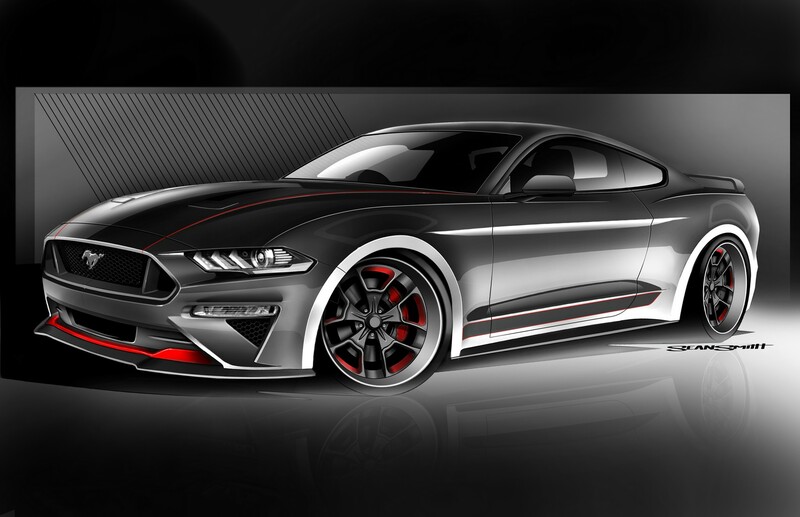 I’d be more interested in 5 SEMA Mustangs running on innovative alternate fuels. More interesting IMO. Love mustangs but there’s hardly any ever done tastefully for SEMA. I guess the look is what goes with the show. True! But, if they don’t stand out among the rest, the buyers usually don’t visit the product booths to possibly buy. so, over the years cars became more outlandish with the aftermarket add-ons and designs to stand out. But i do get your point. It’s the classic scenario of “dammed if they do, and damned if they don’t” sort of thing. 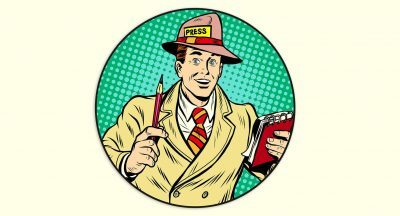 The problem is that SEMA is not a public show, this is a trade event like E3. They all missed the mark. 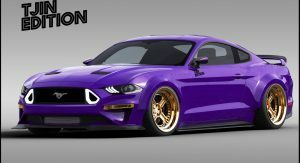 Not one of them did the most obvious thing you could do to the Mustang to make it awesome: lighten the damn thing up by several hundred pounds! And probably will get another award for the best domestic car modification again.